Thank you for the template and that is really good template. Thanks a lot. Keeping dog, cat or any other pet happy is of the primary importance for all pet owners. That's why they are constant visitors of online stores featuring quality products food, accessories. If a pet website is a matter of your interest, you should think over its appealing and userfriendly design to attract clients. 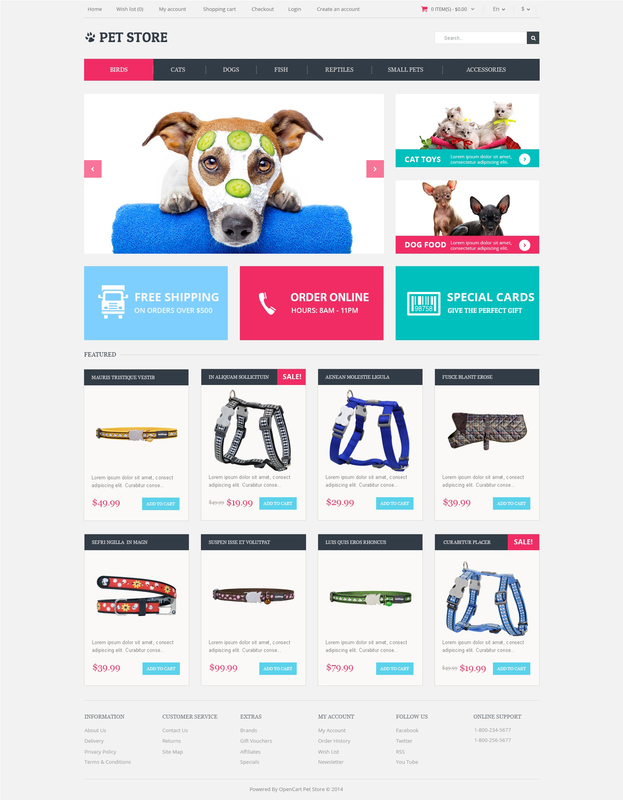 This clean theme with bright pink and blue accents is a welldone professional solution for a pet store. Its easytobrowse structure allows comfortable surfing all around the theme. For growing a successful business online, choose this premium design. Im Web designer and seo specialist. i bought it for my client and its very nice and cool theme thank you. Very nice work! also if it has some import/export tools module, will be very nice but its ok i will buy some module for this nice theme i will use this theme for petmarket but we selling just food and some acceceries no animal. Neat and nice. Easy to organise and manage.